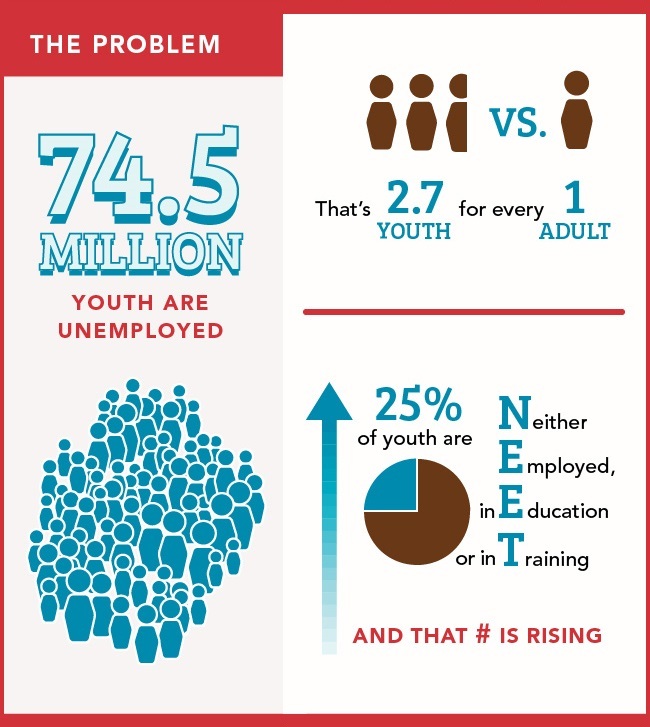 #YouthUnemployment #Infographic http://bit.ly/1JQimac See how @children is helping youth become employable! Whether you live in Kolkata, L.A. or somewhere in between, youth (un)employment has a major impact on young lives. Take a look at the problem by the numbers, and learn why you should act now to help teens around the corner and your sponsored kids around the globe. View the full infographic on Children International's website.